Currently, I am expecting litters from the several happy couples! Below you will find anticipated arrival dates and the planned pairings for 2019-2020 and beyond! All breeding parents have their OFA or PennHIP certifications for hips & elbows as well as genetic testing for the most common heritable diseases (by breed) completed by Paw Print Genetics or Gensol. They are all rated as “Good” or “Excellent” by OFA/PennHIP for hips and elbows and are also “Clear” (genetically speaking) of the most common heritable diseases by breed. A quick note about F1 & F2 Bernedoodles: There is A LOT of information out there on the internet. Much of the information is confusing and inaccurate because the size ranges, colors & health are not standardized. Rather, these traits vary by breeder. Regardless of generation and/or breed, all puppies are only as healthy as their parents in terms of temperament and physical health (the Nature component). If the parents are health tested and clear of genetic diseases and have also been rated as having “good” or “excellent” hips and elbows by OFA or PennHip then they’re puppies will also be clear of genetic problems and have genetically good hips and elbows. 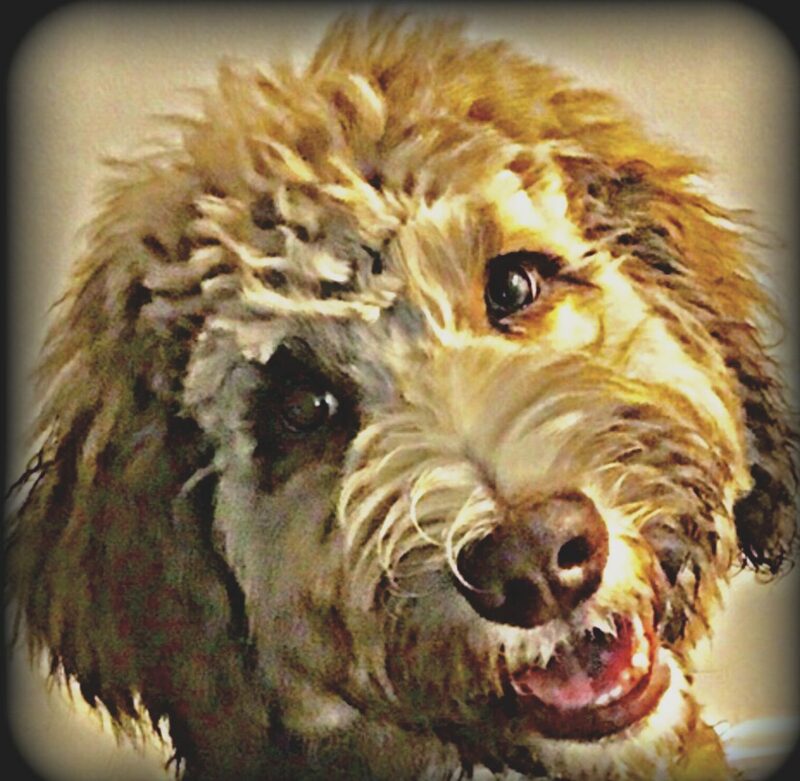 I can not, unfortunately, speak for all Bernedoodle breeders (in general) because the overall health of a puppy will always come back to the parent dogs and the breeder (how the puppies are socialized in the first 8 weeks). I can say with confidence and a 2 year health guarantee that my puppies are healthy because their parents are healthy. They are loved and socialized from 0-8 weeks old as you will come to see via the 24/7 live puppy cam! Your puppy will come to you healthy and very well socialized! Bella x Sargent Pepper’s NINE F1 Medium Standard Bernedoodles 65lbs Summer 2019! Click here Bella and Sargent Pepper’s Medium F1 Bernedoodles to see more pictures and a video! Dutch X Sargent Pepper’s SIX F1 Large Standard Bernedoodles 70lbs+ lbs Dutch and Sargent Pepper will be paired in the Summer 2019! See Below for their pictures! Click here Dutch & Sargent Pepper’s F1 Large Bernedoodle Puppies! to see more! Rosie & Rocky – F2 Standard Bernedoodles 55-65lbs arrived in February 20, 2019 and be ready to go home April 20, 2019! They will weigh between 55-65lbs fully grown. Click here Rosie and Rocky’s Medium F2 Bernedoodles -Past Litters to see their previous litters and their current one! Grace (Potter) & Rocky -F2 Small-Medium Standard Bernedoodle planned to arrive Fall 2019! Click hereGrace & Rocky’s F2 Small Standard Bernedoodles! to see more pictures! These puppies will be between 50-60lbs when fully grown and there will be traditional tri-colored puppies, sable tri-colored puppies and traditional phantom puppies in this litter! Upcoming F1 Standard and Mini Bernedoodle Litters- Currently accepting deposits for Summer/Fall 2019! Please see the mom/Dad pages for pictures of these beautiful dogs if not pictured below. Jackie and Sargent Pepper’s F1 Standard Bernedoodles have arrived! Please click here to see their 2, 4 and 6 week photos! Jacki & Sgt. Pepper arrived in February 2019– This litter produced tri-colored, large sized standard Bernedoodles and will range between 55-80lbs when fully grown! All have wavy, non-shedding coats! Click Jackie and Sargent Pepper’s F1 Standard Bernedoodles here to see their 2, 4 and 6 week pictures! Ready to go home April 9, 2019! Suzy & BB King’s Mini Bernedoodles-Spring 2019 arrival! -These babies will be 35-45 lbs fully grown and traditional tricolored! Please see below for the pictures of the parents-to-be! Grace & BB King’s Mini Bernedoodles-Spring 2019 arrival! –These babies will be 35-45 lbs fully grown and traditional tricolored! Please see below for the pictures of the parents-to-be! Janis & BB King’s Mini Bernedoodles-Spring 2019 arrival! –These babies will be 35-45 lbs fully grown and traditional tricolored! Please see below for the pictures of the parents-to-be! Molly & BB King – F2 Mini/Micro Bernedoodles planned to arrive around June 2019! This will be the smallest Bernedoodle litter weighing between 20-30lbs when fully grown. They will be adorable little Tri-Colored Bernedoodles! Sugaree & BB King – F2 Mini Tri-Colored Bernedoodles planned to arrive in the May/June 2019 timeframe! These babies will weigh between 30-35lbs fully grown! Fiona & BB King’s F2 Mini Tri – Colored Bernedoodles planned to arrive in the April 2019 timeframe! These babies will weigh between 30-35lbs fully grown! River & Sargent Pepper – F1 Standard Bernedoodles planned for Summer 2019! These will be small F1 Bernedoodles weighing between 50-60lbs when fully grown! Cali & Axl – F2 Small Standard Bernedoodles expected to arrive Summer 2019 and weighing between 42-60lbs when fully grown!